Kraaiven was developed in the 1960's. At over two hundred hectares it is one of the larger industrial estates in Tilburg, housing some 150 companies. Many, such as Fabory and IFF, are leading names in manufacturing and distribution. 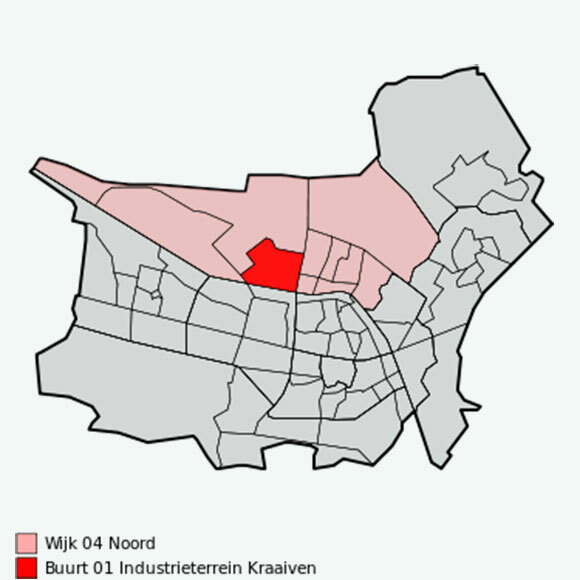 The grey area in the cart represents the city of Tilburg and the red part the industry-area.